Nina Shirosaki is the daughter of a mafia family. She's determined to become a hitman, but she's so kind and gentle that she has trouble even killing an insect. Now she's on her way to Japan with her father, on mafia business. She begins to attend the local high school, hoping to build her way up to being a hitman by becoming the evil boss of the school. Unfortunately, she soon makes friends with the daughter of a police chief! Will Nina ever succeed in doing something mean, giving her hope for her chances of becoming a hitman? In a world where people have supernatural creatures as pets, a certain family has a pet demon-lord Satan. The main carer of Satan is the son, Yuuhei. From initially coaxing the new Satan out of his pet-carrier, to walking him, playing with his ball, and keeping him from fighting with the neighbor's pet Hero, this is the comedic story of a boy and his Satan. Both "Uchi no Maou Kamimasen yo" and "Gokuaku Bambina" are really silly, cute comedies, though I'm not sure how much mileage the authors can get out of either premise. "Domino" is the one this week for anyone wanting a more serious story. 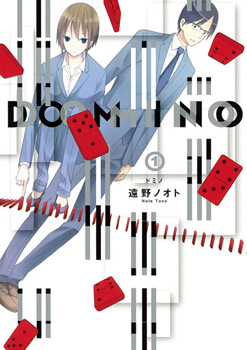 Domino - If you're interested in crime/murder mysteries, while learning about the detectives solving them, then you should check out this manga. Gokuaku Bambina! 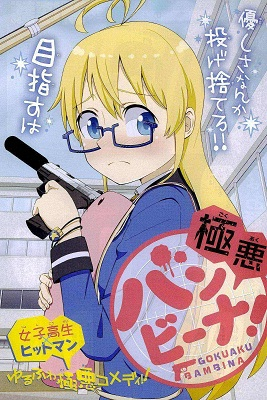 - If you like comedy about hitman (premise sounds a bit like hitman reborn), then you may like this manga. 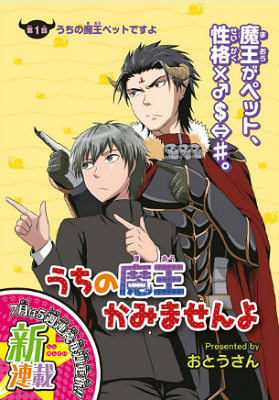 Uchi no Maou Kamimasen yoasen yo - If you like the idea of Satan being a pet and are in the mood for comedy, then this may be for you. If you haven't done so already, check out the scanlations of the mangas from previous shout outs which have been recently scanlated: slice of life comedy Chuugoku Yome Nikki (MH link), sci-fi action manga Hoshi no Ponko to Toufuya Reiko (MH link).